Musicians, hobbyists and developers that are looking for an analogue synthesiser that can be hacked, may be interested to know that the NS1 Nanosynth is now available from the Arduino online store and is priced at €198. 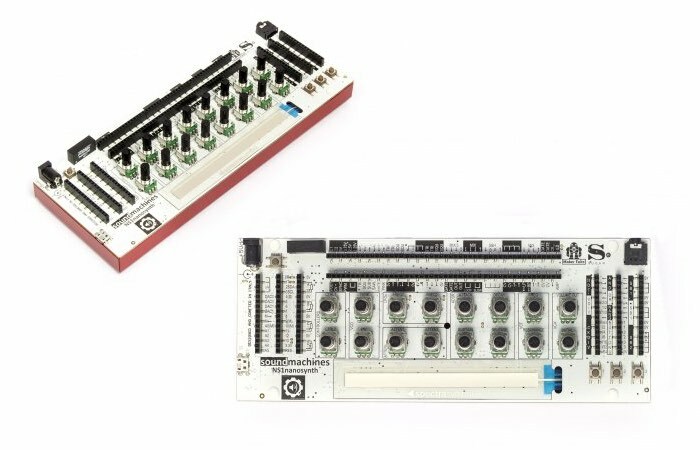 The NS1 Nanosynth measures 220 x 85 mm and is combined with an Arduino Micro platform, providing users with a great compromise between complexity and usability, says its creators, providing a totally hackable, customisable and affordable entry-level device. plethora (12+!) “micro” modules, such as like mixers, multiples, sample and hold, sum/sub blocks, inverters, logic or, and, nand, analog dividers, clock dividers, fixed voltage generators and several ‘sensor blocks’. For more information jump over to the official Arduino website where the NS1 Nanosynth is available to purchase.